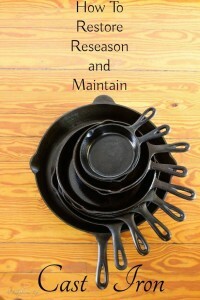 We have many cast iron fry pans, kettles, & tea pots in the store and I thought that I would share some information on how to maintain them. I absolutely love using cast iron skillets to cook with. Did you know that there is also a facebook group for cast iron cooking. Great camping recipes also!